The Pine-Elk Creek Improvement Association (PECIA) was incorporated in June of 1947 to do all things necessary to unite the people in the Pine/Elk Creek Area toward the development and conservation of the natural resources of the area. PECIA is an all volunteer nonprofit corporation dedicated to serving Pine Grove and the surrounding community. 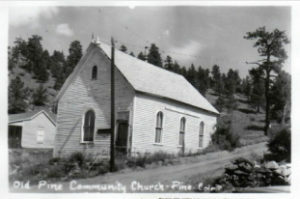 PECIA works to preserve historical buildings in Pine Grove; to protect the natural beauty of Pine Valley; to serve the community with social and infrastructure projects; and to inform and educate the general public about the community. While PECIA’s activities are mainly centered around Pine Grove, its service area extends several miles along Pine Valley Road and Elk Creek Road to cover a total of about six square miles.